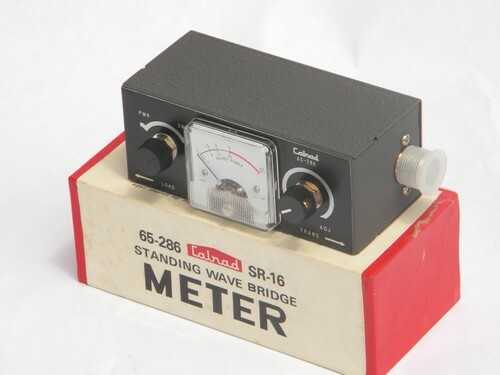 Vintage Calrad SR-16 "Standing Wave Bridge Meter" model 65-286 with the original box and instruction sheet. 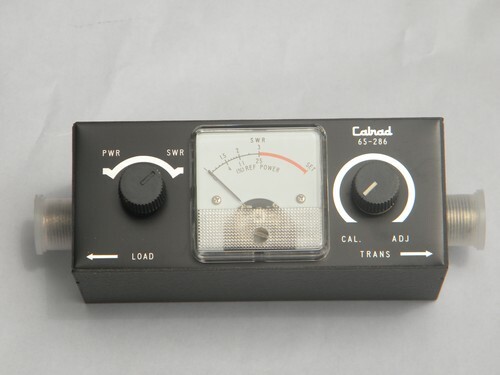 It is marked "SRW 1:1 to 1:3", accuracy 5%, impedance 52 ohms, indicator 100 DC micrometer. 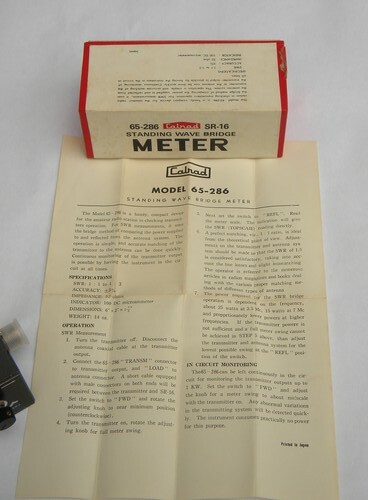 This is from the estate of a shortwave and ham radio enthusiast. 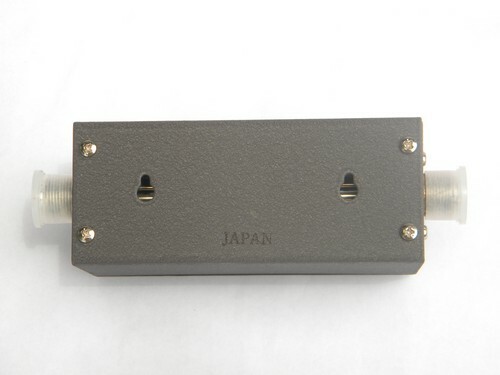 We don&apos;t think that it has ever been used. 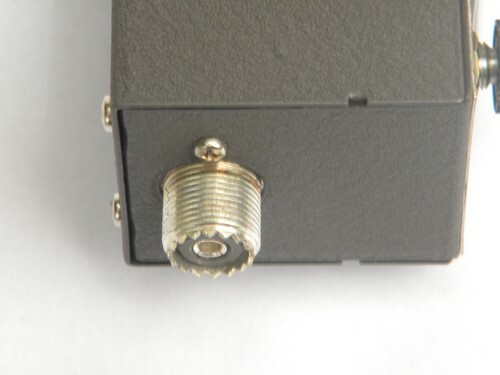 It was still neatly stored in the box with the plastic caps on the connectors.